Debre Markos Referral Hospital, like most referral hospitals in Ethiopia, faced major challenges in medication adherence for patients who were suffering from chronic non communicable diseases such as diabetes and hypertension. Patient profiles of prescribed or dispensed medicines were either incomplete or non-existent. Medicine use and adherence patterns were difficult to monitor because information on patients and dispensed medicines were not documented at the dispensing unit. There was no tracing mechanism of treatment failure and patient follow-up. This fragmented system hindered data collection and analysis that could be used for designing interventions to improve treatment outcomes. The USAID-funded Strengthening Pharmaceutical Systems (SPS) Program, predecessor to the Systems for Improved Access to Pharmaceuticals and Services (SIAPS) Program collaborated with the Amhara Regional Health Bureau (RHB) and Debre Markos Hospital in Ethiopia to design a pharmaceutical care intervention package aimed at providing bundled patient-centered services. These services included proper patient documentation, patient follow-up, and counseling in a separate room to increase patients’ medication adherence/compliance. The new pharmaceutical patient-centered system is based on documentation using Patient Information Sheet (PIS). The PIS captures the patient’s profile—all clinical information such as previous medication history, types of medicine dispensed, concomitant diseases, and date of next appointment—all on a single piece of paper. The new system allows easy access of clinical and pharmacy staff to patient pharmaceutical records for analysis of medicine use and adherence. The patient counseling and follow-up has empowered patients to take personal responsibility for their treatment. Since the new services began in July 2010, the number of patients who visited the pharmacy department has significantly increased. From July 2010 to the end of April 2012, 373 hypertensive patients and 45 people with diabetes received treatment. Responding to this initial success, the chronic care pharmacy unit expanded its services to include congestive heart failure, central nervous system conditions, and liver disease. The pharmacy department now provides these critical services five days a week. By January 2013, 674 people with diabetes, 466 people with hypertension, 466 people with congestive heart failure, and 2,082 people with central nervous system problems were treated using this model of patient-centered pharmaceutical care. 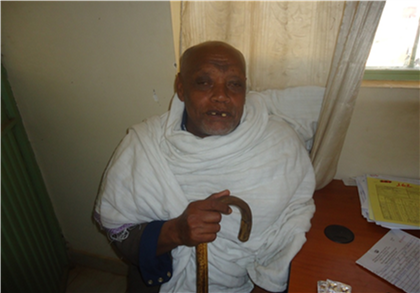 US Agency for International Development-funded SIAPS is building on the success of the Debre Markos experience and is working with the Amhara RHB to replicate the new patient-centered pharmaceutical care model in other hospitals throughout the region and beyond.